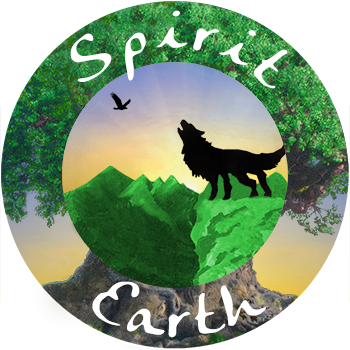 Welcome to Spirit Earth Coaching! Like everything in nature, we are each called to grow into our fullest potential. Our roots need fertile soil and loving care, our stems need to reach upward, and our blossoms need to share their nectar with the world around them. Sometimes, the conditions for our growth are ideal, and we grow easily and effortlessly. But often, we find ourselves confronted with obstacles that challenge us to adapt and to move beyond our limitations. Do you feel powerless in some area of your life? It is easy to feel powerless as we are confronted with these obstacles. Often a relationship, job situation, health challenge, sensitivity to our environment, or business struggle push us to make changes in ourselves and in our lives. Those on a spiritual path are often developing greater sensitivity and intuitive abilities. These abilities bring with them new challenges. Increased sensitivity to and empathy for others without boundaries leads to these conditions and more. Part of our work at Spirit Earth is to help you to integrate your sensitivities and awareness into your physical existence. We will teach you tools to develop a balanced, peaceful state. Our bodies are instruments of the Divine and learning how to listen to their wisdom and to love and nurture all aspects of ourselves is the key to following our Divine Purpose. Connecting to nature in a more deep and meaningful way can help to become more tuned into this wisdom. Are you growing your gifts? Often our unique purpose and special talents grow out of our wounding. The challenges we face in our lives are the fertile soil that strengthen our roots and send us reaching for the Heavens. It is through finding the gifts buried in our struggles, that we are able to discover what we have to share with the world. Our focus is to help you understand yourself and your life from a spiritual perspective, often supported by helping you reconnect to the natural world, so you can find this buried treasure within your life experiences. Would you like to begin living your Life Purpose? Once you’ve developed sturdy roots through self-care and a deep knowledge of your core gifts and talents, you are ready to share what you’ve learned. Are you struggling to share your talents and gifts AND meet your existing financial and emotional needs? Integrating the evolved self into pre-existing relationships and work environments often brings its own challenges. We work to support our clients in creatively exploring their options as they move to live a life more firmly in alignment with their Divine Purpose. We look forward to supporting you! For those of you who are looking for Crossroads Coaching LLC and the work of Nancy Nicholas, you are in the right place! The name for the business has been changed to Spirit Earth Coaching LLC. Empowerment Readings have been renamed as Spiritual Life Coaching sessions and new options have been added, including a new coach! Enter your email address to follow this blog and receive notifications of inspirational tips, empowering articles, and upcoming events by email!